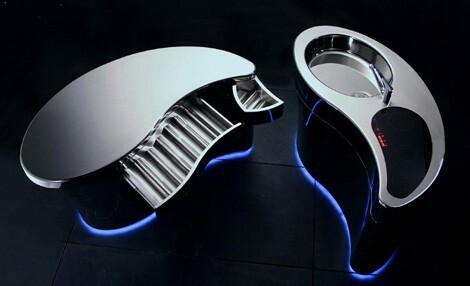 The surprising pics below, is part of Inspiring Colorful Pedestal Sink by Wet New Fusion II written piece which is classified within Sinks & Vessels, inner basin, Fusion, New and published at August 23rd, 2012 11:45:11 AM by admin. 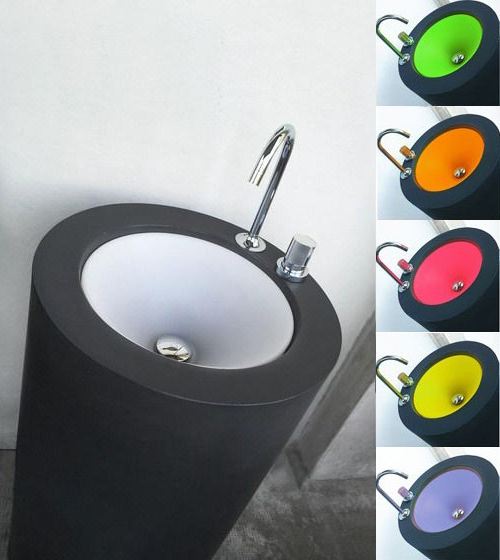 Wet is presenting a colorful pedestal sink with colorful inner basin for you. This collection belongs to the new Fusion II. 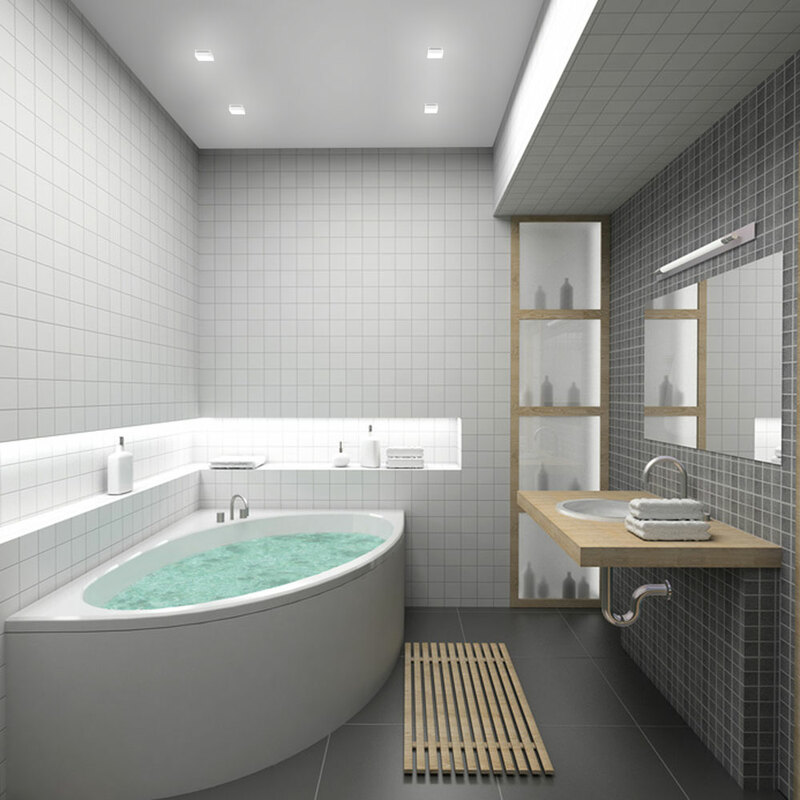 Thank to its heavy demeanor and cylindrical shape, a strong statement with contemporary style is brought in from the sink, without the colors. 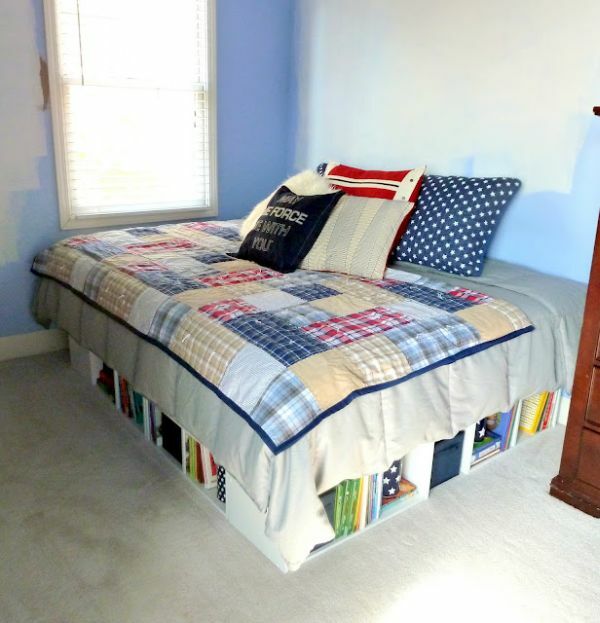 But in some instance, it looks pretty bold with the colors. The pedestial sink is measuring 48×48 cm and has the height of 88 cm, manufactured from recyclable polypropylene, designed by Jan Puylaert. 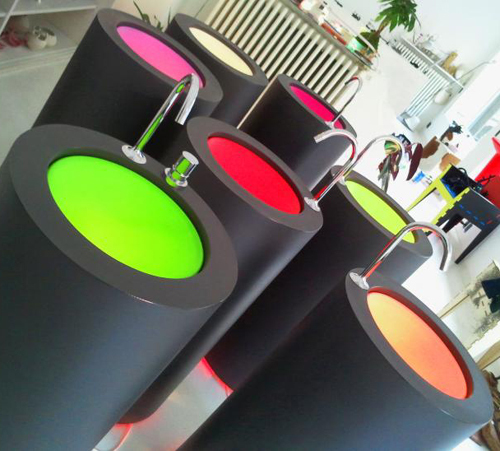 If you look for a floating effect or illumination for the floor, you can install LED illumination (RGB or neutral) on the column’s basin. Learn more at Wet. Here is main instruction on Wet. We have the greatest resources for Wet. Check it out for yourself! 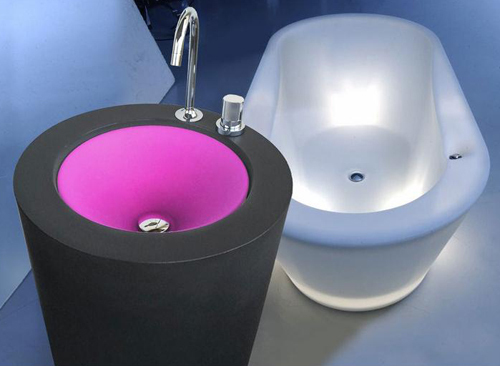 You can find Colorful Pedestal Sink Wet Fusion 1 guide and view the latest Inspiring Colorful Pedestal Sink by Wet New Fusion II in here.